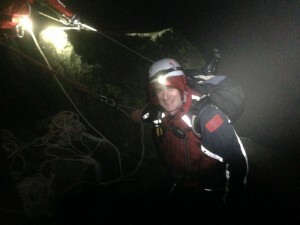 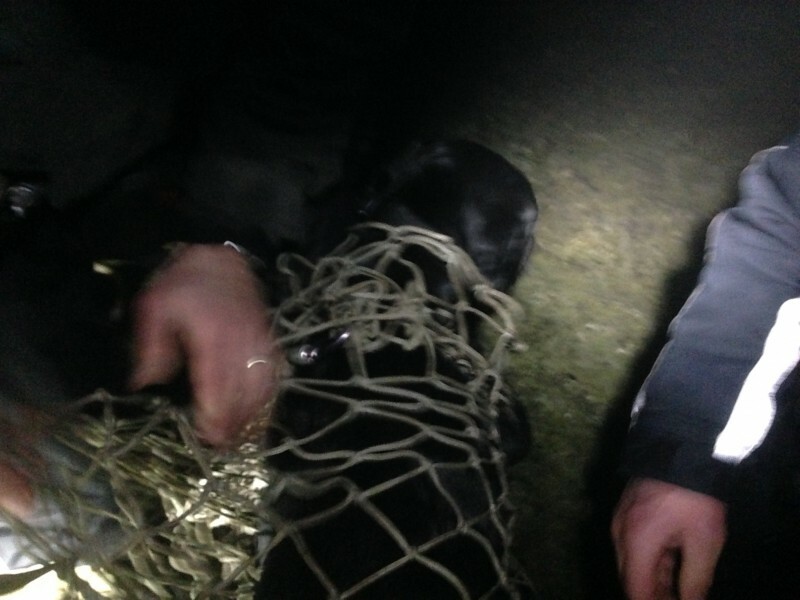 We were called by Police about a family of 4 with a dog who had become stuck on the ledge above Broad Stand on Scafell. 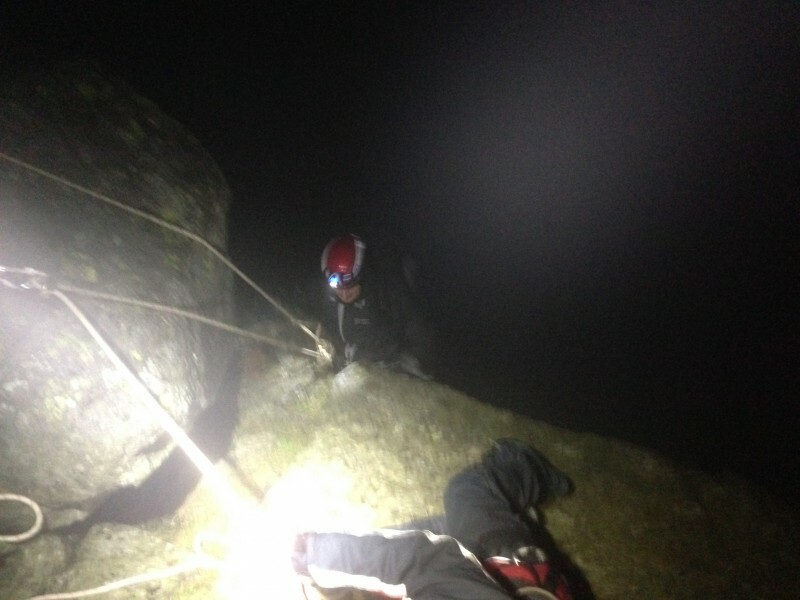 We located them near the abseil point and got them in the bivvy tent whilst we set up our ropes for a lower down to Mickledore. Each person and the dog was lowered down, then walked back to their car in the valley. 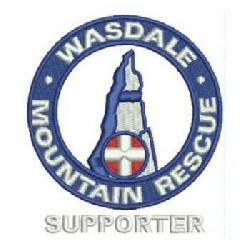 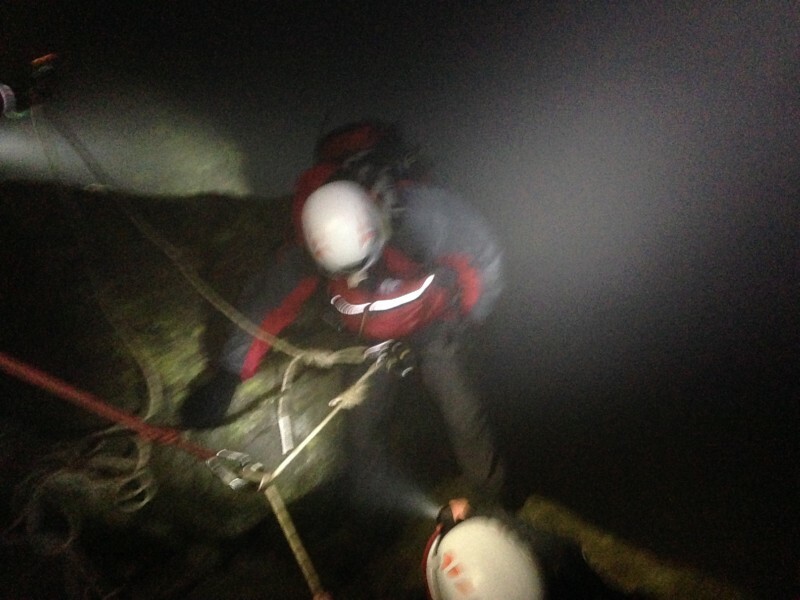 Post by Wasdale Mountain Rescue Team.